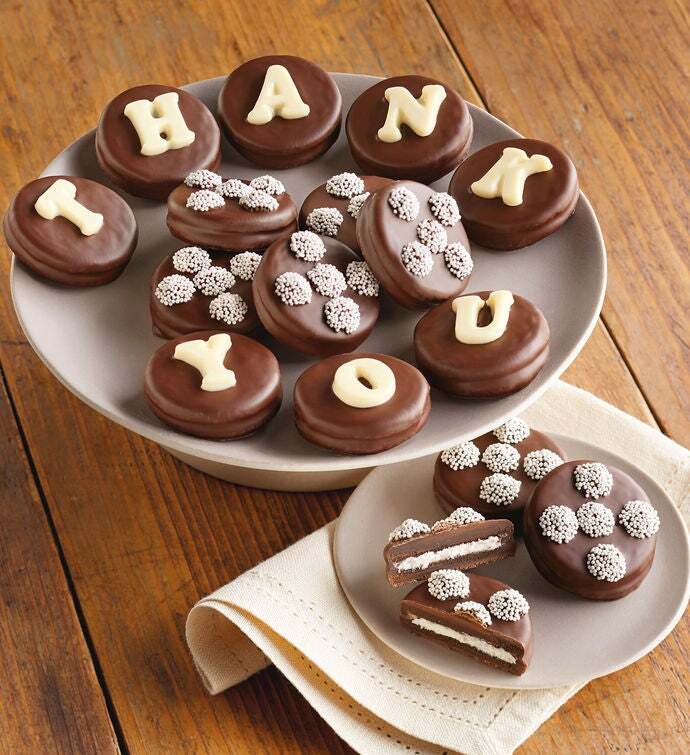 These cookies say "Thank You," written in white chocolate atop a dark and milk Belgian chocolate coating. Inside, the delightful flavor of creamy frosting sandwiched between crispy cookies makes a true confection anyone can enjoy. Give this gift as a classy gesture of gratitude, one that leaves a lasting impression.